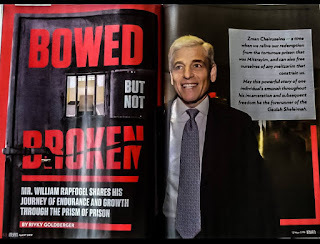 Rationalist Judaism: NY, NJ, LA - U2? I am also speaking on the topic of "Rationalist Judaism vs. Biblical Natural History" (a VERY "juicy" topic, about the points of difference and the points of intersection between the topics of this blog and the museum) at two parlor meetings, one in Teaneck on Motzai Shabbos (Feb. 3rd) and one in Flatbush on Tuesday Feb. 6th. These are fundraising events for The Biblical Museum of Natural History at private homes - if you would like to attend, please email julie@BiblicalNaturalHistory.org for an invitation. We need two boxes of museum items transported from Lawrence to Englewood or Teaneck - if you are able to help out with that, please write to me. In Los Angeles, on Sunday Feb. 11th, there will be a "Feast of Biblical Flora & Fauna" for those becoming patrons of the museum. For more details, write to maayan@BiblicalNaturalHistory.org. 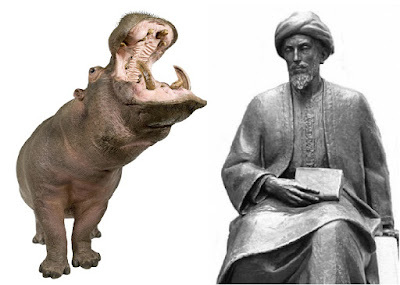 Did the Rambam ever see a hippo, or is this just like one of those pictures showing dinosaurs living side by side with humans :). Are you going to be on the East Coast after today? I just saw this post.